August 9, 2015 Kathleen AdamsLeave a Comment on Hello world! I am a mother of 4, 2 girls and 2 boys. I am a grandmother of 6, 5 girls and 1 boy. I have always loved to create handmade things. I believe it’s actually therapy for me. I love to sew and craft with paper. I still work part time as a hairdresser in an upscale retirement community located in San Ramon, Ca. Currently, most of my sewing is doing alterations for the residents in the community. For the last almost 3 years my new passion is paper crafting (greeting cards and quilled paper projects). I’ve been inspired by so many amazing designers in the world of paper crafting and I will give credit to those wonderful women who have been generous to share all their “How to’s” with those of us who are beginners. With this blog I will attempt to “pay it forward”. 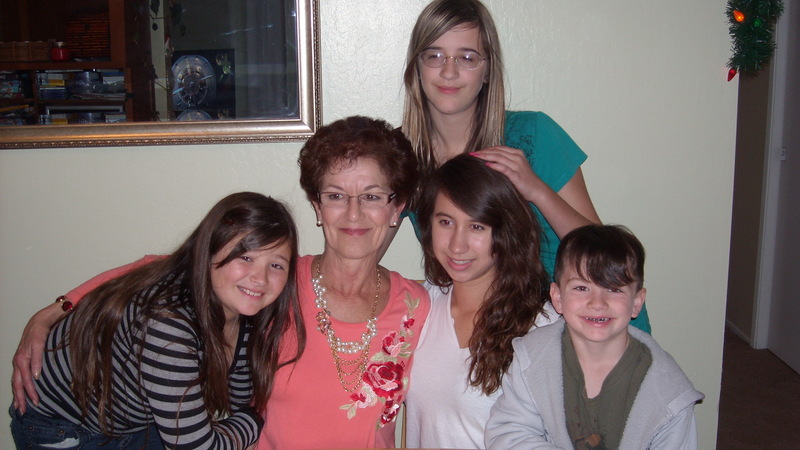 In this picture my two oldest grands are missing but not missing in my heart. I will feature them in a later post. Previous Yes, it’s another crafting blog! Next Needed to make a special card for my sisters big birthday.